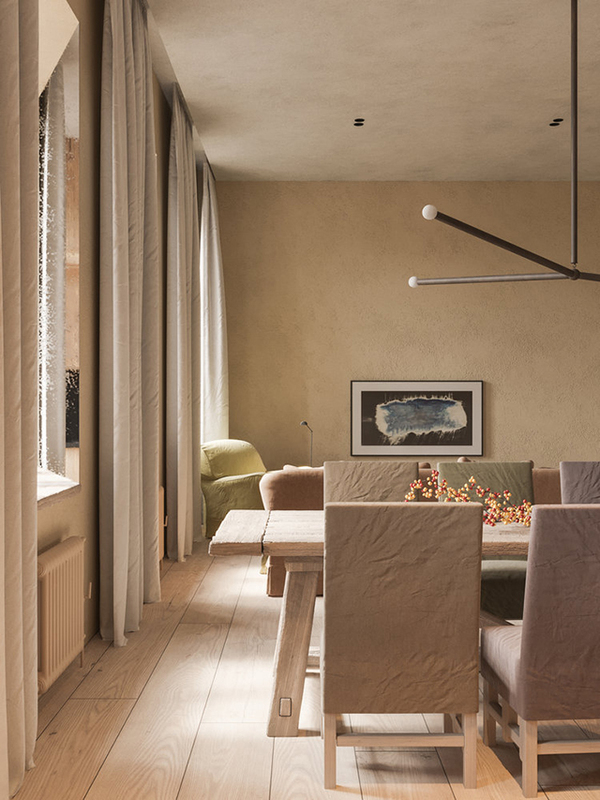 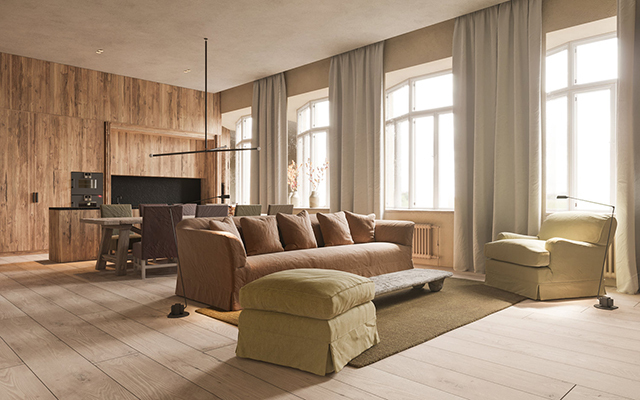 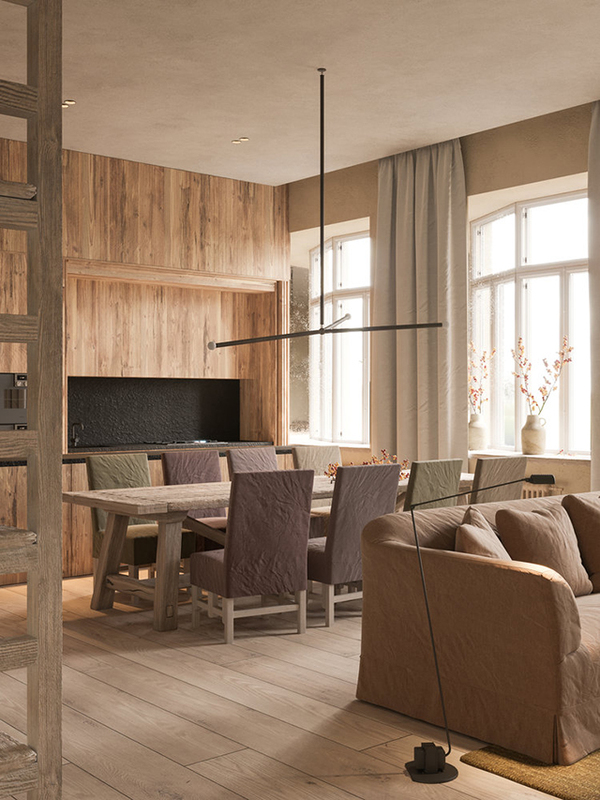 Kiev-based Interior Architect Evgeniy Bulatnikov first came to my attention with the beautiful residence Beige. 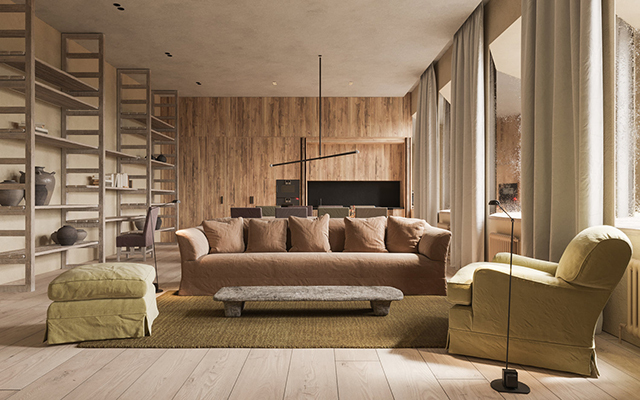 A joint project with Interior Architect Emil Dervish, they have received many accolades for their work since including features in AD Magazine and Elle Decoration. 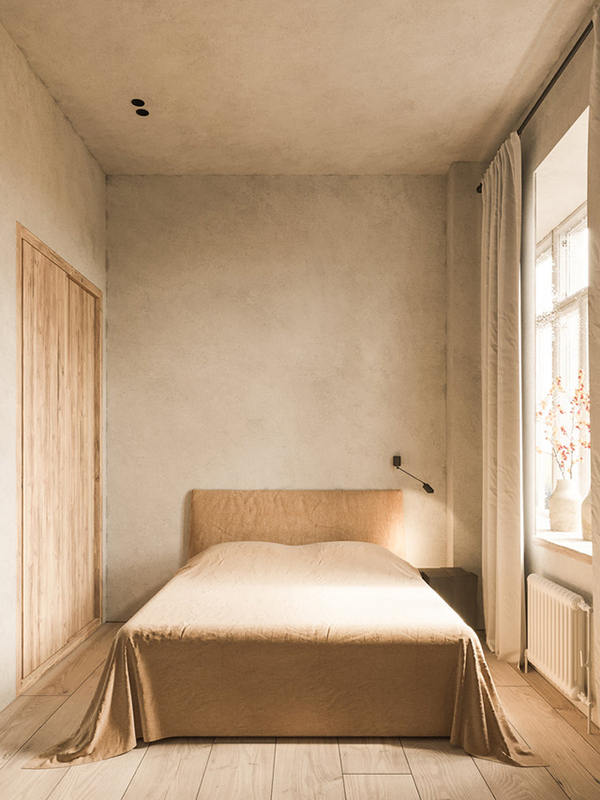 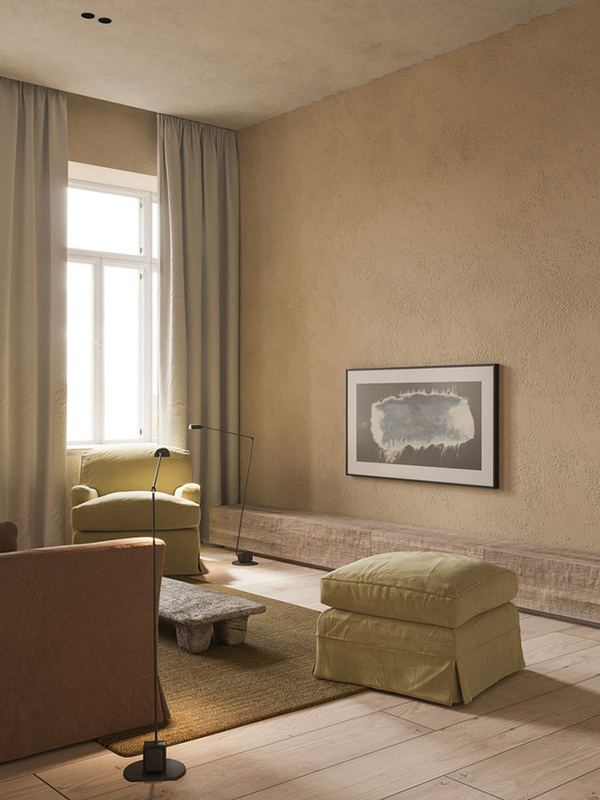 Evgeniy's latest project Warm Sand is located in Saint Petersburg and features soft, chalky hues and an understated aesthetic. 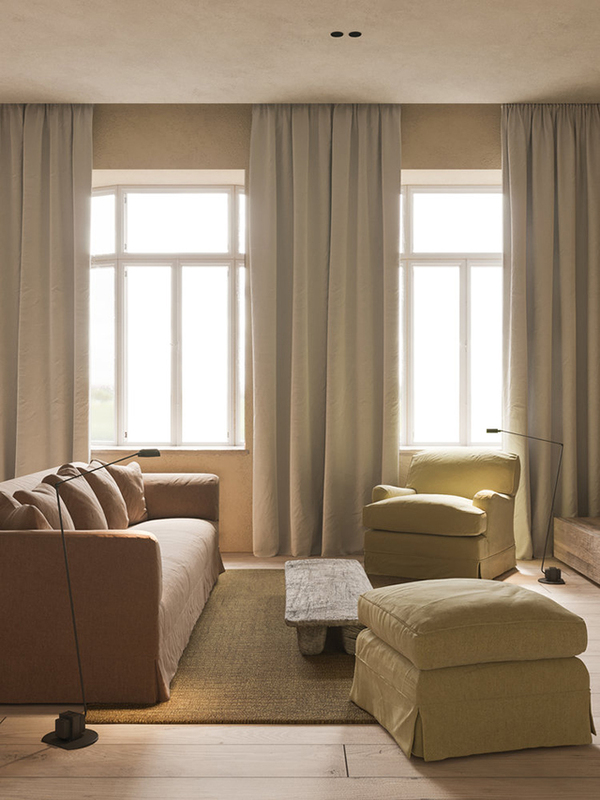 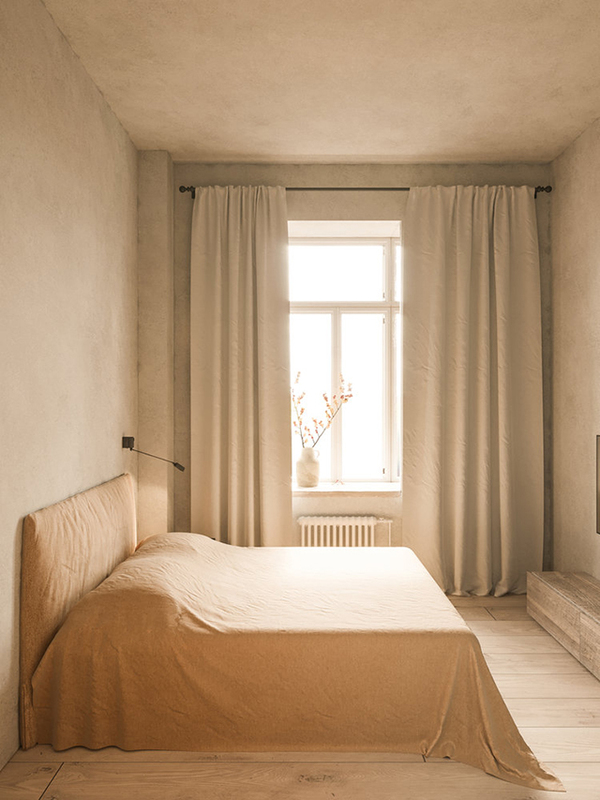 Clean lines are paired with textured walls and natural timber to create a rustic feel, while soft linen furnishings bring a softness to the overall look.